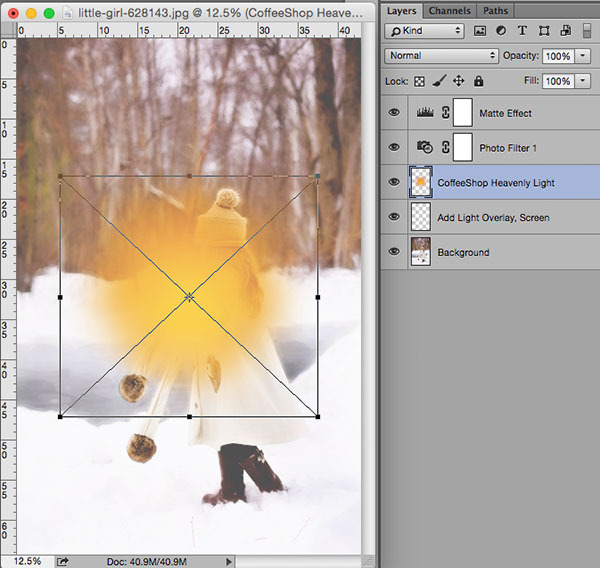 Today I wanted to share my newest editing kit and tutorial called "Heavenly Light". I love capturing beautiful light in-camera, but I also love the ability to add it in post-processing. 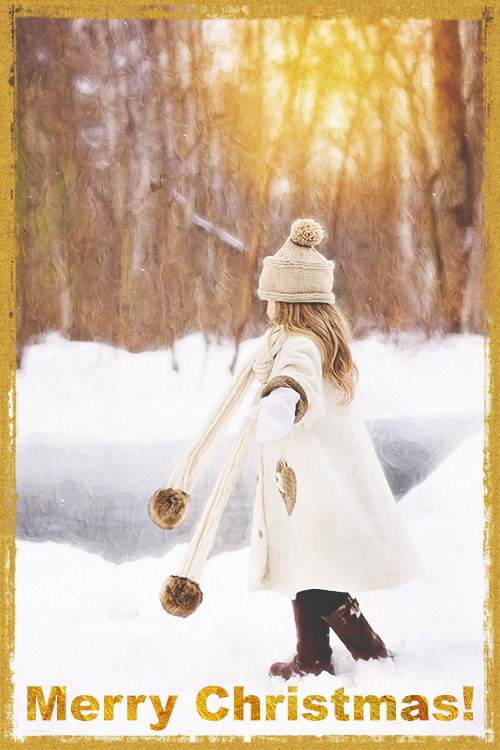 Today I have a new Photoshop/PSE editing kit that includes an action, beautiful handmade sunflare overlay, and two painterly textures I created. 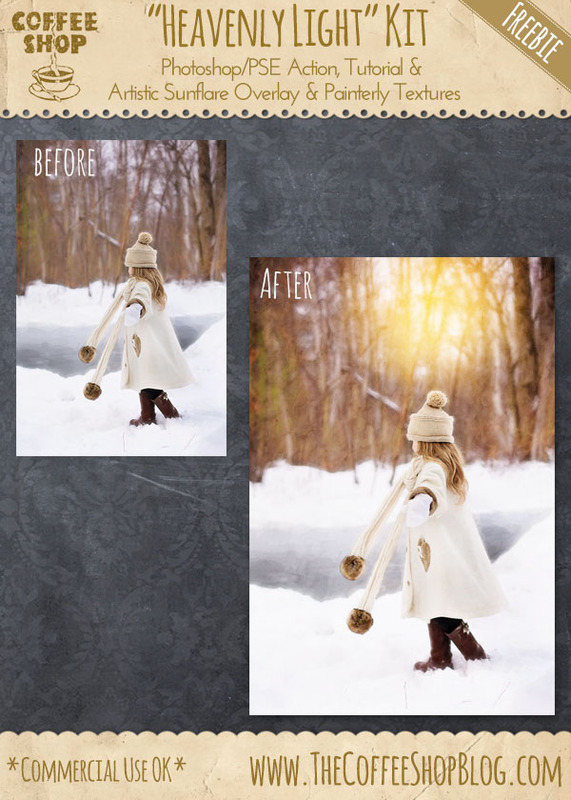 I used a beautiful image from Jill Wellington (Etsy Shop, Facebook, Blog, YouTube Videos, Pixabay) in this tutorial. Run the "Heavenly Light" Action. 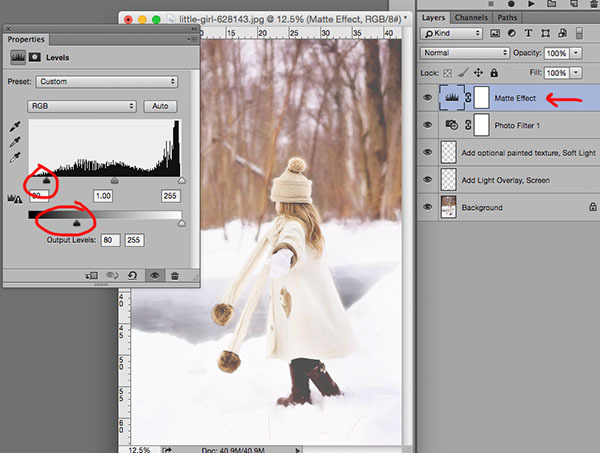 After it finishes you will see four new layers, with the "Matte Effect" layer turned off. You can change the blending mode of the Photo Filter 1 layer from soft light to normal if you want a warmer image. 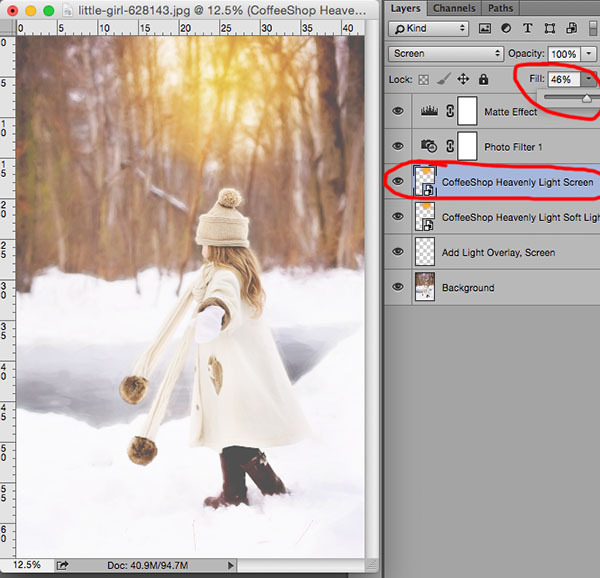 Or even copy the Photo filter 1 layer and put one layer in soft light and one in normal blending mode and adjust the opacity of each layer to taste. I turned on the "Matte Effect" layer in this edit. Then I clicked on the Levels Adjustment on that layer and adjusted the black Shadow and Output Levels sliders until I was satisfied with the amount of matte effect. Then I added the Sunflare overlay included in this kit under the Photo Filter 1 layer. 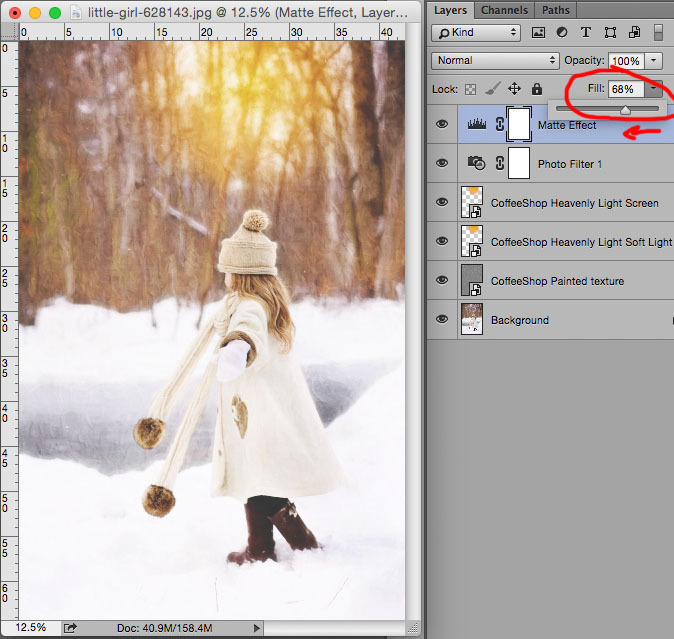 If you have Photoshop just click on the "Add Light Overlay" blank layer and File, Place the overlay. 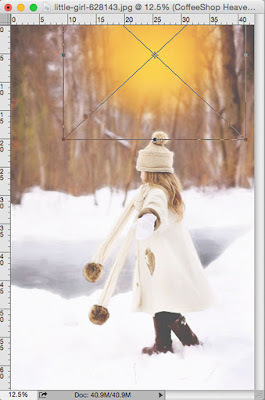 If you have Photoshop or PSE just open the overlay and drag it on your image. I moved the sunflare (V) and free-transformed it to size (Ctrl-T) up into the trees where I imagined the sun would be shining through. You can try several blending modes to see what looks best with your image. I put it into soft light blending mode. 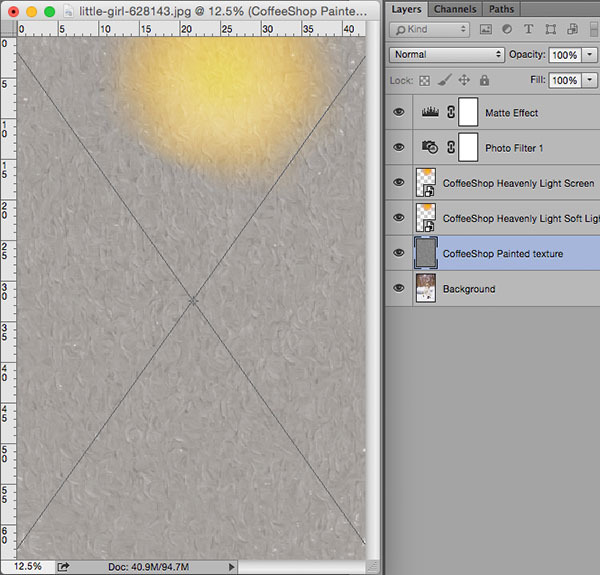 I wanted to add more light so I copied that layer and put it in Screen blending mode, 46% fill. I like this version. Then I added one of the painterly textures included in the kit, under the sunflare layer. 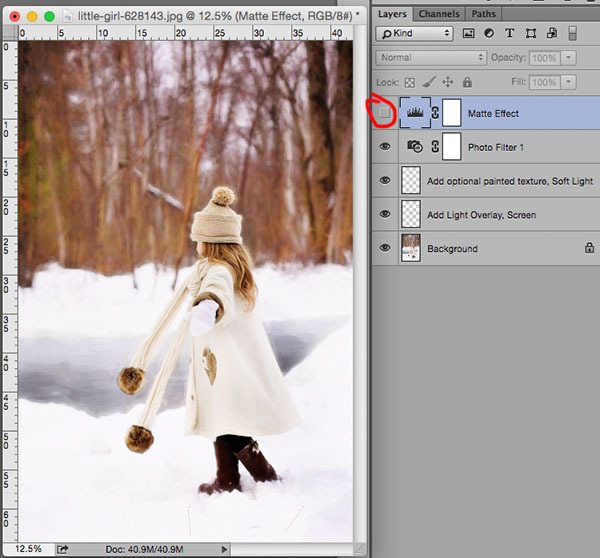 Just File, Place in Photoshop or open and drag on top with PSE/Photoshop. I put the texture in Overlay blending mode, but you can also try soft light. I went back and removed some of the "Matte Effect" layer by putting the Fill at 68%. I really love this edit. It would look gorgeous on a Christmas card. Hover over this image to see the before (if you are on a computer). I added the Vintage Gold Frame to this version. I hope you find this tutorial and editing kit useful. 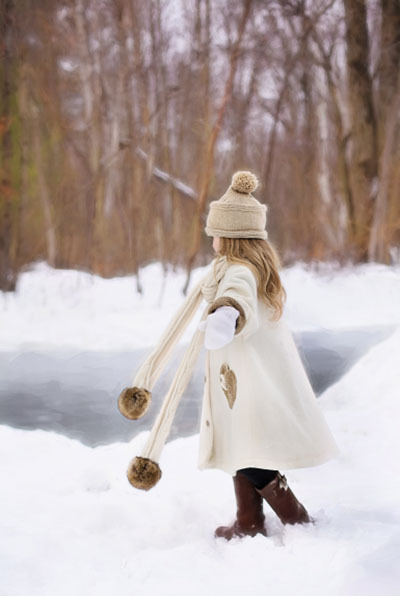 I would love to see your edits on my Facebook page! 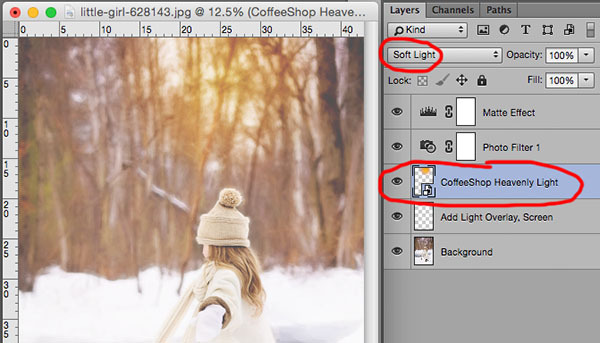 Download load the CoffeeShop "Heavenly Light" Editing Kit (action + sunflare overlay + painterly textures). You can also download it here. I LOVE the golden splotch of light in that photo! Very pretty! I can't find File, Place overlay in Photoshop.. what am I doing wrong? I explain what you can do as an alternative in the steps above. :-) Just drag on top and drop. I use the alternative step by dragging and dropping on top of my photo and keep getting this error message: Could not complete your request because source and destination documents are the same.